Home – Test – EpicGenetics' FM/a® Test is FDA-compliant and has successfully diagnosed patients with fibromyalgia since 2012. Know for sure, start now! 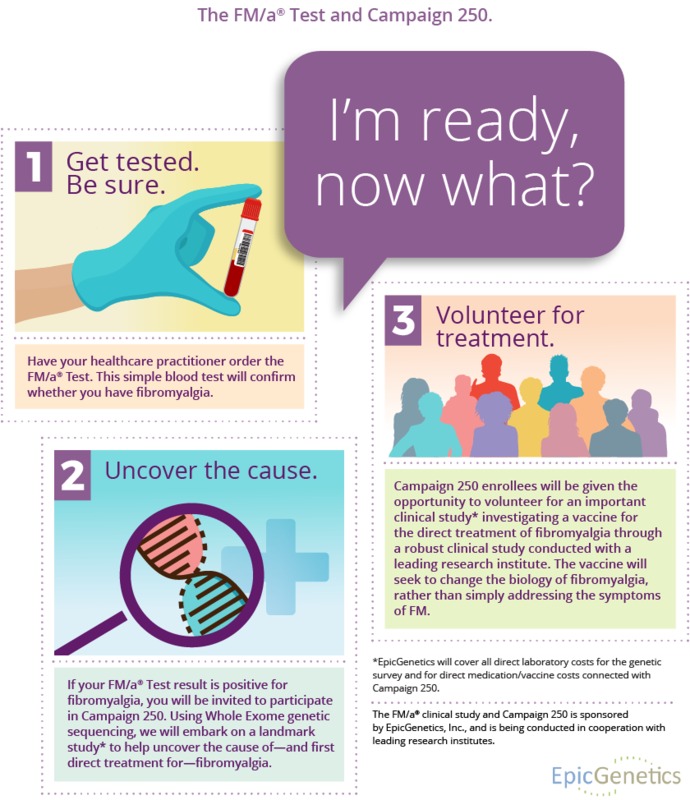 A positive test result can mean knowing and being part of Campaign 250 in the quest for a more effective direct treatment in the future. Join us by completing our simplified application for the FM/a® Test. Or, if you prefer, our staff can help you complete your test application by clicking on the “Apply-by-Phone” tab. EpicGenetics staff is here to assist you in completing your application. Just provide your name, email address, phone number and the best time to contact you and one of our friendly patient services representatives will help you fill out the form.